After the Cosmic Course – a radical forgiveness, comes a Walk with the Masters. With the final clearing of our mental positioning and a peace that comes with forgiveness, we are ready to integrate our own spiritual destiny – the embodiment of Divine Spirit within us as a human being. The Metatronic Pathway is a simple seven step process guiding us from where we are to where we are meant to be in this life. 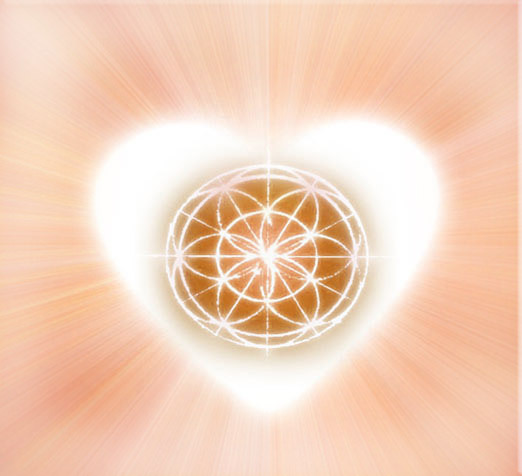 Through the Foundation and Golden Alchemy, we are given our connection back and this brings enough strength to begin the three major clearings. Karmic, Emotional and Psychological. These clearings create space within us that used to be occupied by dense karmic structures, thick emotional energies and fixed ideas of who we are, this gently encourages us to become more simple, more clear and more true. Now in our “universe” there is an ocean of being, in which floats the stuff of our incarnation. Into this space comes a new empowerment of 12, representing those beings who have gone before and who either hold the path or have completed the path here on Earth. What are these Transmissions and Attunements? For something to come into being, it needs to be known and held as a reality. Without this reality, this knowing, it is impossible for something to be touched by understanding. Without this understanding it is impossible for us to bring it into our being and embody it. This is the gift of this course, bringing directly into our energetic heart, and so our knowing, a series of Masters who hold the template of the path from the beginning. They come as an equal series of female and male beings, the first six from Pre Atlantean times, through Atlantean times into our past historical times leading to the last wave that enabled one of us human beings to hold the template of Divine Humanity, the Christ. The Christing happened through the help of an Essene community that dedicated itself to this goal. The second series of six represent the community that realised this and then seeded it in all things. This truth has been underground but it is time for it to come into the forefront of our paths. Along with these transmissions comes an attunement that links us together, to our inner twelve and this is energised in different aspects as we go through the course. As you have begun to feel Metatron wants us to increasingly be part of the process. In the Cosmic Course you were asked to top and tail each transmission with a meditation. On this course these meditations will follow the transmissions as a way of deepening them and embodying them so that we are, as it were, Become. What does this course allow me to do and what follows? As with all the courses, each transmission and attunement deepens our Metatronic connection. It deepens our connection with the Metatronic Team and enables us to not only amp up our spiritual evolution but give more powerful healings. Following this course is Course 7 – The Vitruvian Bridge. You can think of Course 6 and Course 7 as the Creative and the Receptive of Mystery. The Yin and Yang of the Divine. The Vitruvian bridge brings us into touch directly with Mystery, the unconditioned reality and, at the same time, grounds us through the elements deeper into embodying it on Earth. “Thank you with all my heart for this magical and unforgettable week. Thanks for the beauty and meaning of your work, integrity and own manner of unfolding mystery with mastery…” Dolores T.
“Words seem so inadequate, mundane even, and I struggle to express my heartfelt thanks to you for effecting the Walk with the Masters, it was the most wonderful week. New Year, New Moon, new beginnings – I shall welcome it all in!” Vanessa S.
“Thank you so much again for last week it was truly wonderful. I have never known energy quite like it and can still feel it working through my system and its so strong! This is truly amazing. I can’t really describe it. So much seemed to happen in all the transmissions and I’m sure I’m only just beginning to feel their real effects!” Stella J.